Our evening offers an authentic Texas experience of the sights and sounds of the Old West. 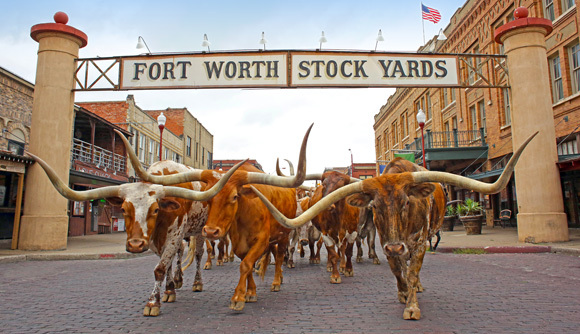 Stroll the brick walkways of the stockyards and get a real taste of the Lone Star State at Billy Bob’s Texas—the largest honky-tonk in the world! We will dine in the Guitar Bar banquet room, which features the very best in country music memorabilia. Glass display cases are home to autographed guitars that span 35 years of performances. After dinner, you can enjoy a game of billiards, visit one of the 30+ bar stations, check out celebrity handprints, shop or hit the dance floor. Whatever you choose to do, you are going to have fun! Lasso up some friends and sign up for a bronco-bustin’ good time!